Barça B dominated their game against Atlètic Balears, but were unable to get a win on the day (1-1). 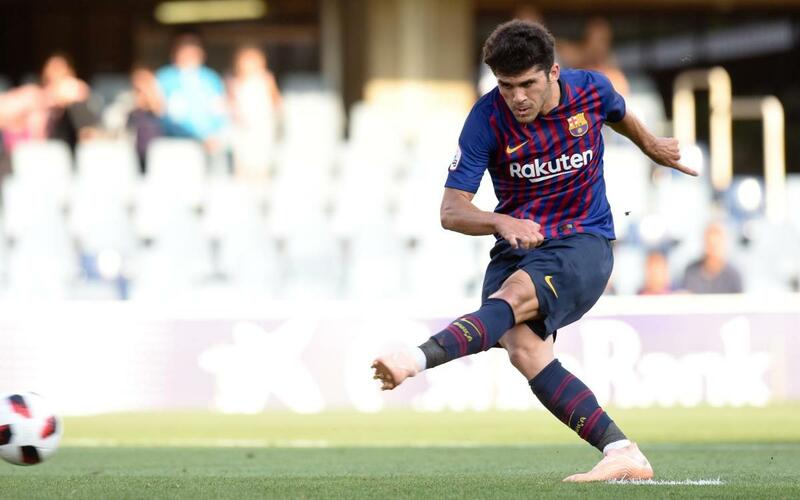 The visitors took the lead in the 10th minute thanks to a goal from De la Espada, but the hosts’ response was instant, Riqui Puig causing a penalty three minutes later which Aleñá coolly dispatched. Miranda almost had a second before the break, but the visitors’ stout defence were able to frustrate the Blaugrana. The second half began with a very aggressive Atletico, but little by little fatigue got the better of them and Barça B regained control of the game. Ballou went close on 61, and substitute Collado’s presence as well as that of Abel Ruiz, who came on a few minutes later, gave more depth to the Garcia Pimienta's side. In spite of trying everything during the final stretch of the match, Barça had to be content with a draw that means they’ve now gone four matches unbeaten and remain at the top of the table.